From the country’s most popular interior design magazine comes a stylish, in-depth look at what it takes to make any room beautiful. House Beautiful Style Essentials: What Every Room Needs is an inspiring and hardworking handbook that shows readers how to create the rooms of their dreams by revealing what “every room needs.” Chapters like “Every Room Needs a Hiding Place” provide clever ideas for storage and organisation, while sections like “Every Room Needs Something Shiny” give examples of how reflective surfaces can enhance and enlarge any space. Simple yet elegant advice from some of the biggest names in the interiors world is paired throughout with stunning photography of the best and most beautiful rooms featured in the magazine. 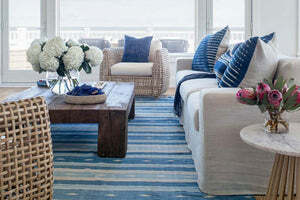 From a room’s overall look and colour down to its smallest details, House Beautiful Style Secrets provides tips, tricks, and secrets on how to cultivate a comfortable home and uncover the potential of every living space.